Read Paris: A lion, dog, duck, cats, and …? 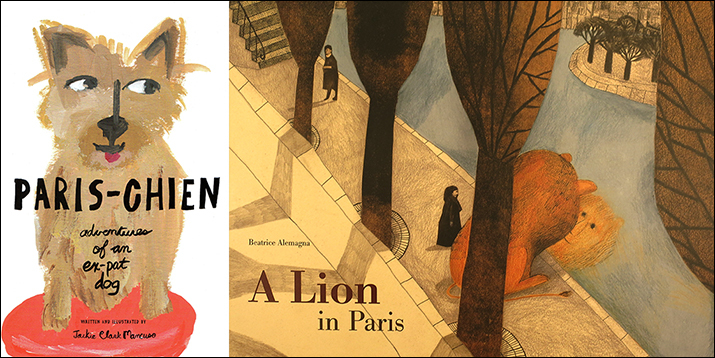 Before visiting Paris with young kids, read delightful stories about animals in Paris. The adventures of a lion who roars in the metro, a dog learns to speak French and becomes a Paris-chien, cats explore Paris to find a surprise round and musical, the duck who turns Paris upside down when he comes to visit, and a mouse magnifique who’s the best judge of cheese.